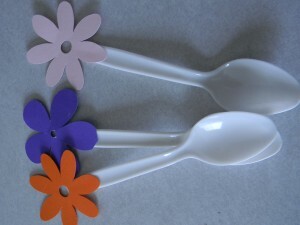 2) Decorate your spoons. Stick a plastic spoon in the cup and attach something to the end of the spoon. Paper flowers work great. Foam stickers in the shape of bugs or other garden critters are also cute. 3) Experiment with different types of dirt. 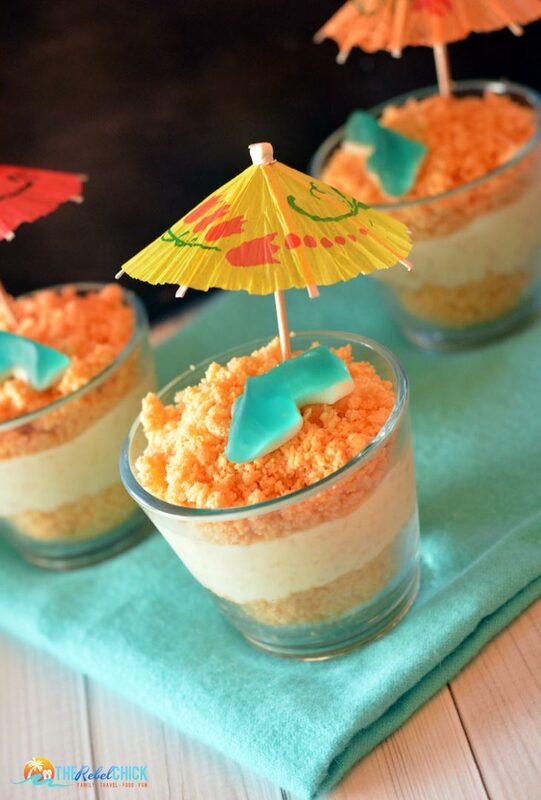 Make sand instead of dirt by layering crushed vanilla wafers and vanilla or butterscotch pudding. Use rocky road ice cream (or another flavor) for the dirt. Add layers of rocks to your dirt using chocolate or yogurt covered raisins. Top a cupcake with chocolate frosting, crushed cookies and decorations of your choosing. 4) “Plant” something in the dirt. Stick a strawberry in the dirt with the green part sticking up or put some fresh mint leaves in the dirt. 5) Be creative with the cup. Dirt cups are often made with a plastic, see-through cup. Why not make them in small terra cotta pots? You could also use mason jars or other glass jars. 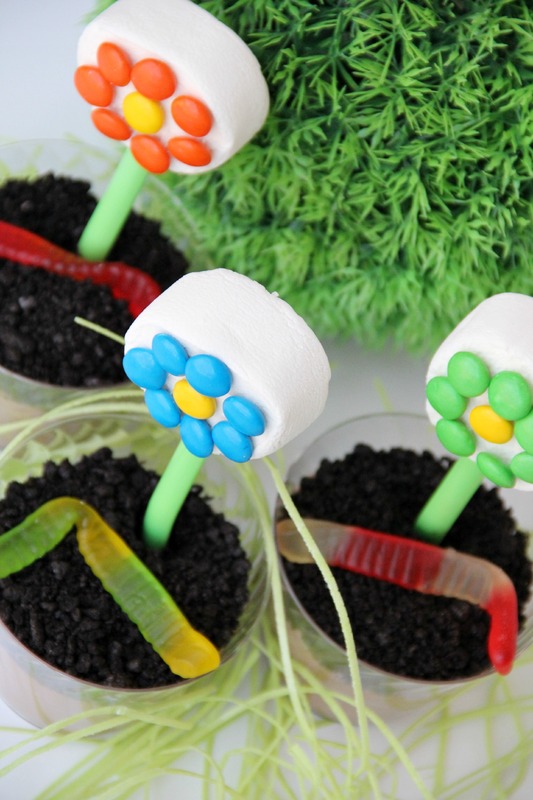 You can even make edible cups out of cookies or ice cream cones. If you need to make lots of dirt cups in a small amount of time, just buy lots of Snack Pack pudding cups. 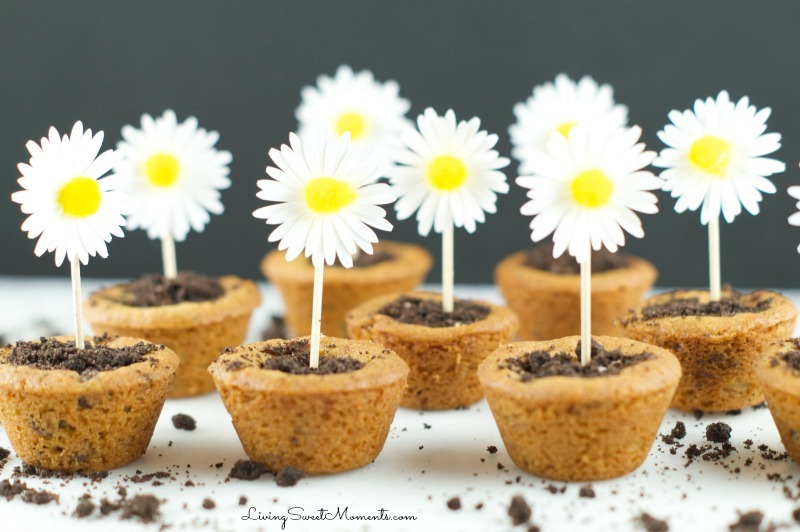 Sprinkle some crushed Oreos and put toppings on each pudding cup. Not super fancy, but easy to do and still yummy! 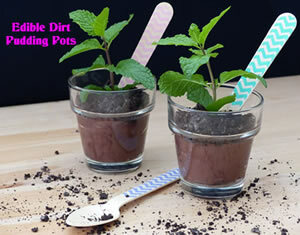 Hopefully you have been inspired to add a little flair to your dirt cups! Earth Day is Friday, April 22nd. This sounds like the perfect Earth Day dessert to me! Gummy worms, frogs, bugs, etc. Mix the milk, chocolate pudding and cool whip together until well-combined. In each cup, make layers of the pudding mixture followed by the crushed Oreos until the cup is full. Top with crushed Oreos and gummy candies.